Temperatures are dropping below zero and our advent wreath is lightening up week by week. It is the time of the year when all we want to is cuddle up and enjoy a Swiss, hearty raclette. Sounds familiar? Well, La Bonne Vivante just might know the right place for you. Ambiance: The Chalet au Lac based at the Baur au Lac hotel is a small, wooden hut which can accomodate roughly 35 guests. The hut’s charme complete with candle lit tables and alpine decor gives it a special chalet like ambiance. 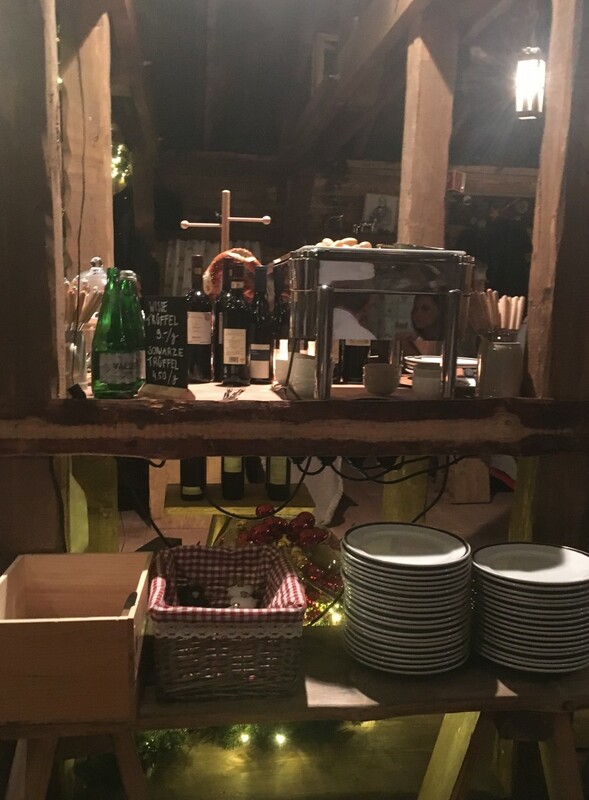 Food: Chalet au Lac serves a 3 course menu which includes 3 starters to choose from, a Fondue, Fondue Chinoise and Raclette a discretion as a main course and a desert. We start off with a meat plate served with bread and a lamb salad followed by a delicious raclette and end our meal with a delicious pear bathed in chocolate sauce. Delicious! Given the huge demand and restritcted space it is beyond difficult to score a table. Make your reservations well in advance (at least 1 month in advance) . It is definitely worth while! Dogs are not allowed in the hut but the friendly hotel staff will direct you to the Hotel‘s telephone center where your pet will be taken care of very well.